In a continuation of our policy of expanding our range of bushes for MGB owners we have added the rear anti roll bar bush to suit the 11/16 in (17.5mm) diameter rubber anti roll bar bush ( part number AHH7921 ) found on the rear of later MGB s ( Cars after 1976 ( car number GHN/D5 410001 ) . As usual the bushes are a top quality injection moulded bush which ensures precise and easy fitting. Coloured dark blue ,the bushes come packed with lubricant to ensure long life and quiet operation . 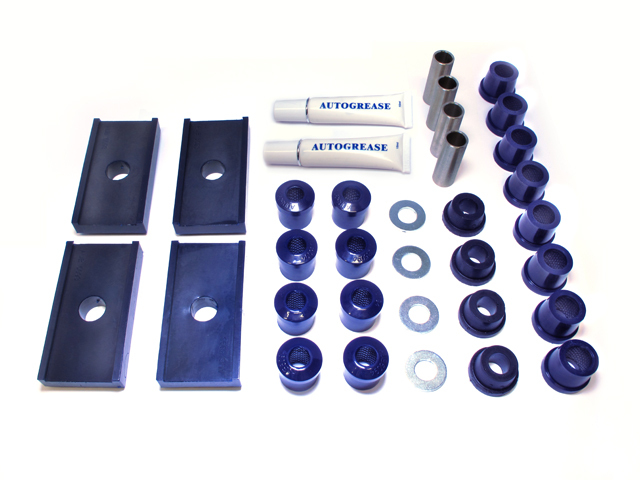 Our part number is AUB 5092 and a pair of bushes costs £9.89 inc vat when ordered on our website .